This heading creates a timeless elegant look. 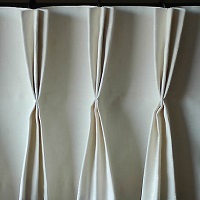 The pleats are usually in groups of three and create neat, clean folds. 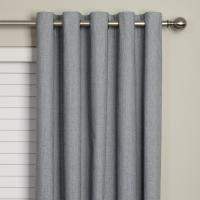 The pencil pleat curtain heading gives a neat simple style to your window and will suit both formal and informal areas. Pencil pleats work equally well with tracks or poles. When closed, this curtain heading creates a sophisticated, tailored effect, suitable for both modern and traditional styles. 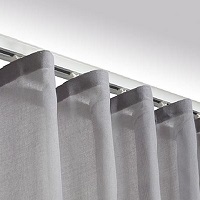 It is best suited to curtain rods where the curtain hangs underneath the rod. The heading gives a contemporary elegance to your windows. 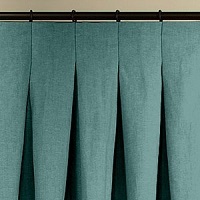 The curtain falls in smooth waves and is ideal for lightweight and sheer fabrics. The eyelet heading is a modern style that creates a soft curving fold. 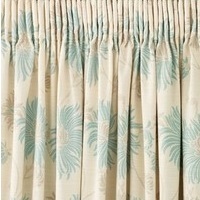 Available in all of our best fabrics, tracking curtains are a simple but effective way to furnish your home.